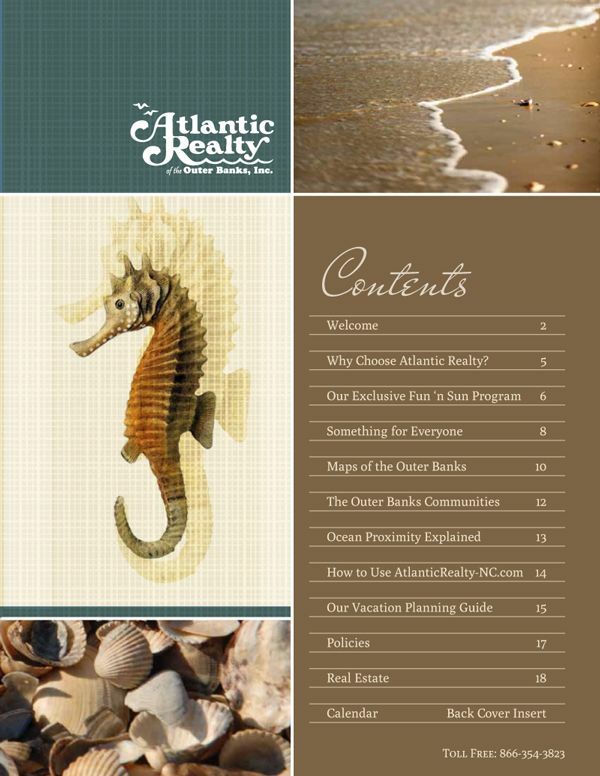 Atlantic Realty was ahead of the marketing curve when they decided to stop printing a full catalog showcasing each of their rental properties each year. The cost was outrageous to print so many catalogs with so many pages. 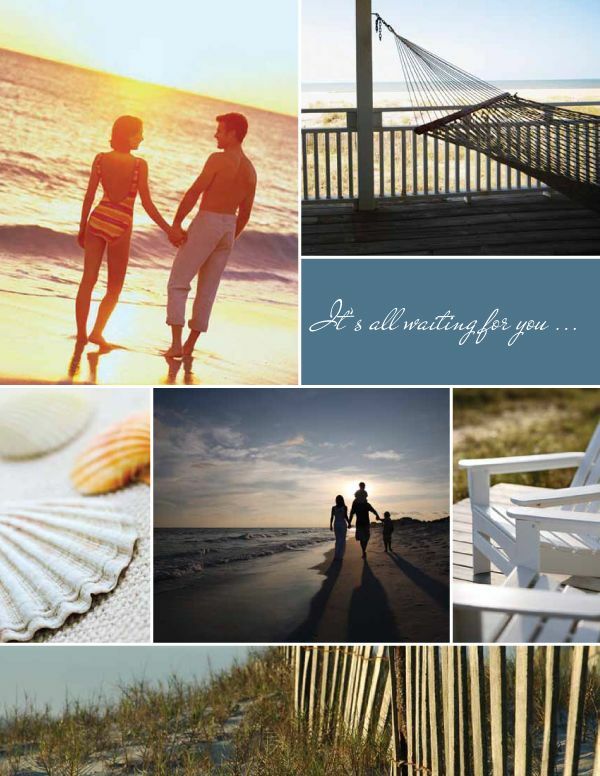 And it never failed, as soon as the book would go to print, another home would join or leave the program. It was impossible to keep up to date, especially as it only printed once per year. 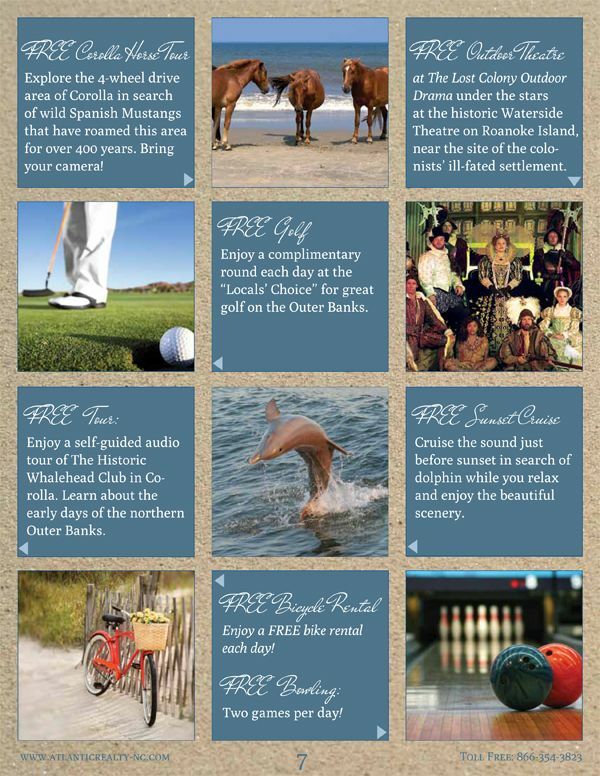 So, they decided to make the most of new, modern marketing, their website. 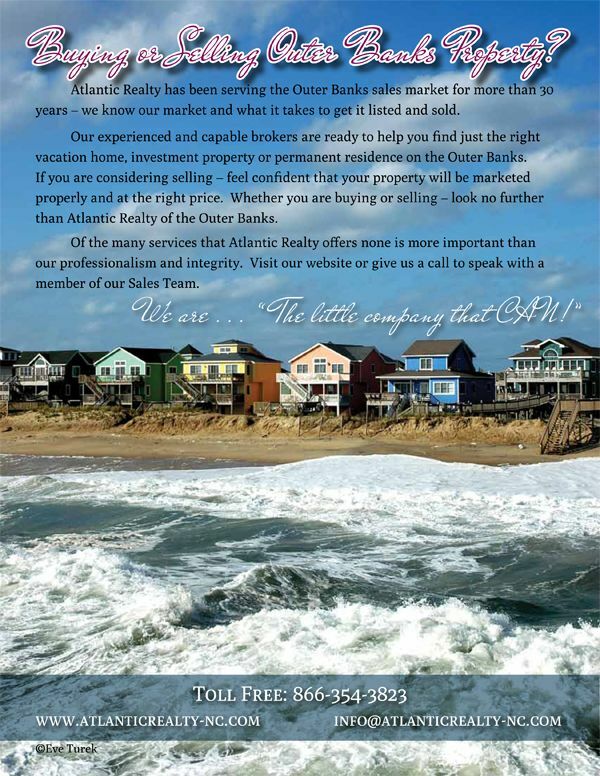 The website was always up to date and always offered the most accurate information about all of their properties. 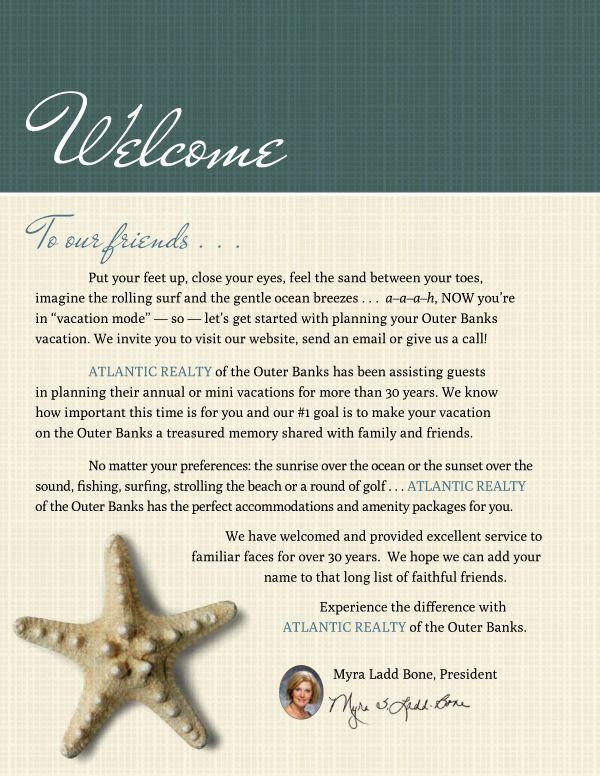 We decided not to do away with the print catalog altogether, as many people do still enjoy flipping through the brochure and looking at homes and dreaming of their OBX Adventure. 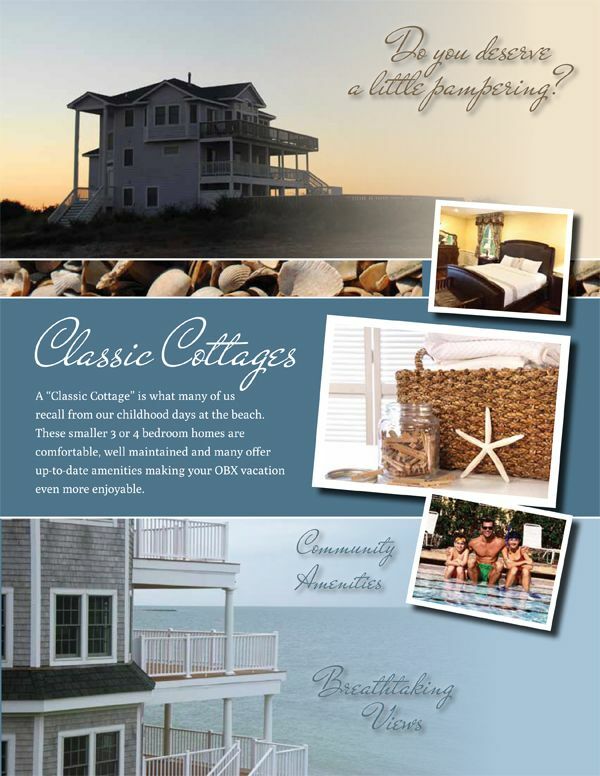 So, we re-worked the traditional property catalog to work as an overall guide introducing their company, their homes, their procedures… and directing interested folks to their website for up to the minute information about all of their properties. 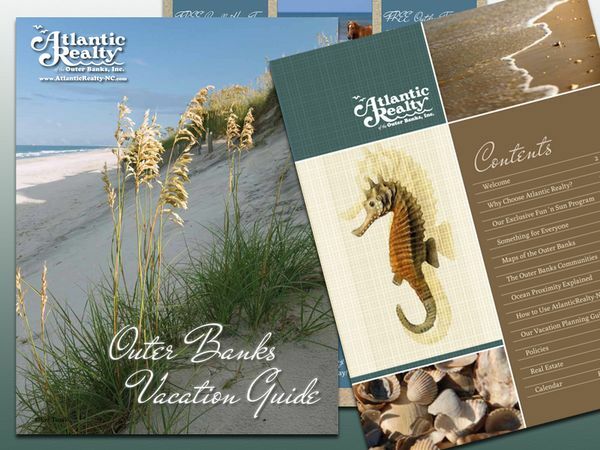 Atlantic Realty’s 2012 vacation guide shows off a fresh, modern design with easy-to-find features such as their rental programs, activities, communities, maps, planning guide, policies, and calendar. 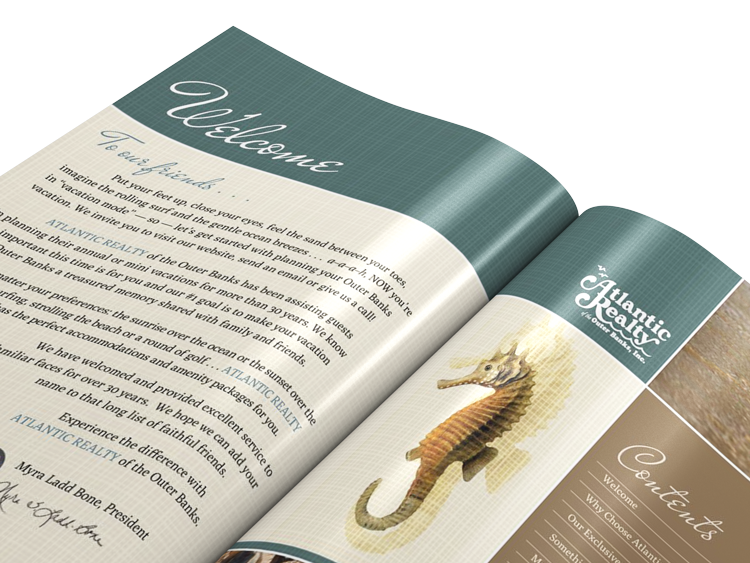 The calendar is printed on an insert sheet, and can be reprinted each year as only a single page insert. 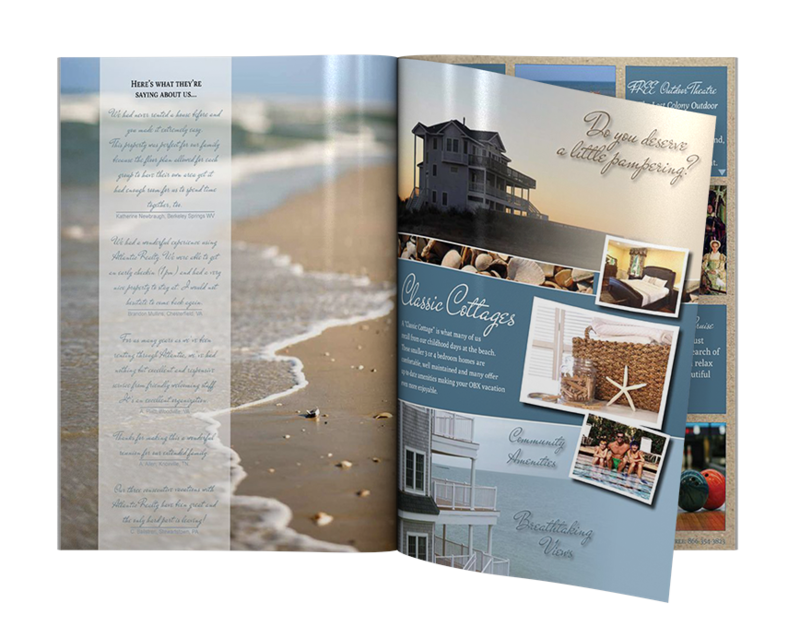 The catalogs were able to be printed in higher quantity (at a lower cost per catalog) and can be used for a few years before needing an update and re-print. 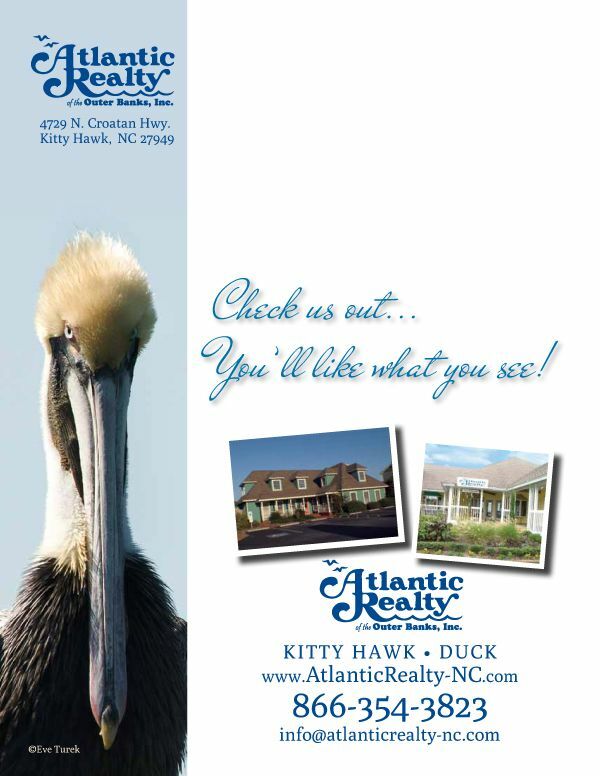 The move to a non-catalog brochure was a great decision for Atlantic Realty. 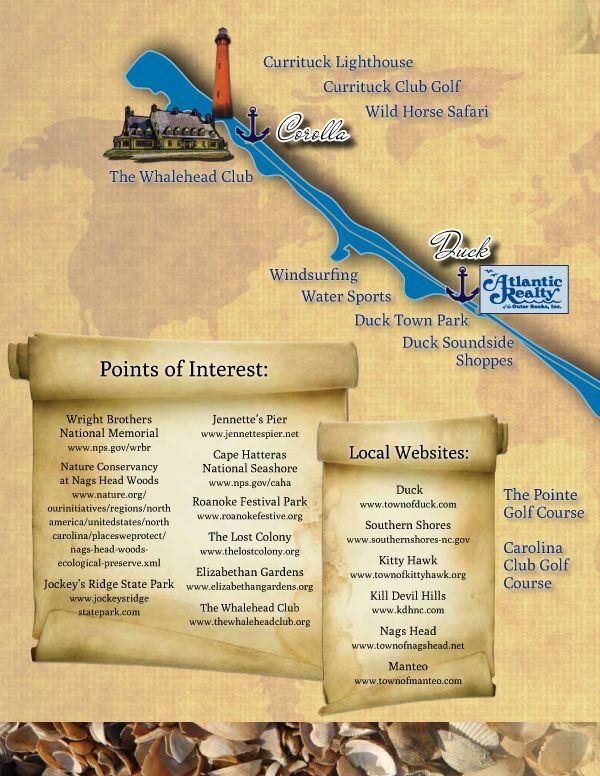 We get constant kudos about it as well. Win/Win!